There is a good amount of undeveloped recreational land in Jennings. These properties are significant in many ways. If you are a visiting camper these properties can add some nearby diversity to your visit. Likewise if you are down for just a day visit, these properties are well worth your consideration. Muscatatuck National Wildlife Refuge was established in 1966 as a refuge to provide resting and feeding areas for waterfowl during their annual migrations. The refuge includes 7,724 acres, half of which are in Jennings County. The refuge mission is to restore, preserve, and manage a mix of forest, wetland, and grassland habitat for fish, wildlife, and people. 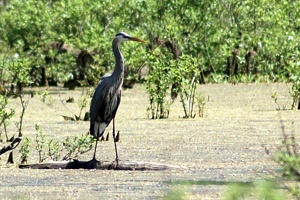 More than 280 species of birds have been seen at Muscatatuck, and the refuge is recognized as a "Continentally Important" bird area. Big Oaks National Wildlife Refuge encompasses 50,000 acres in 3 counties (Jefferson, Jennings, and Ripley) and overlays that portion of the former Jefferson Proving Ground that lies north of the historic firing line where munitions were once tested. The Indiana Air National Guard operates an air-to-ground bombing range on the remaining 1,033 acres of the former proving ground north of the firing line and this property is surrounded by but not designated as part of the refuge. Jefferson Proving Ground was established by the Army in 1940 as an ordnance testing installation and closed in 1995. Beginning in 1996, the U.S. Fish and Wildlife Service managed the wildlife resources of the proving ground. Big Oaks Refuge was established in June 2000 as an "overlay" national wildlife refuge through a 25-year real estate permit from the U.S. Army. As an overlay refuge, the Army retains ownership and the Fish and Wildlife Service manages the property as Big Oaks National Wildlife Refuge. Fishing , hunting, and hiking opportunities are available. 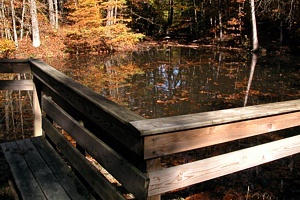 Crosley Fish and Wildlife Area is made up of 4,228 acres of rolling hills, ponds and the Muscatatuck River. Approximately 80 percent of the property is wooded. Most of the terrain is covered with steep to gently rolling hills. About seven miles of the Muscatatuck River flows through the property. The property also has 13 ponds, ranging in size from 2-14 acres. Crosley Fish and Wildlife Area gets its name from Powel Crosley, the man who originally owned the property. Powel Crosley, maker of the Crosley automobile, purchased the land in 1931 and maintained it as a private hunting and fishing area. The DFW purchased the land in 1958. Hunting, fishing, and trapping opportunities are available. Limited hiking is available. The historic Tunnel Mill can be accessed from the Muscatatuck Park River Trail. 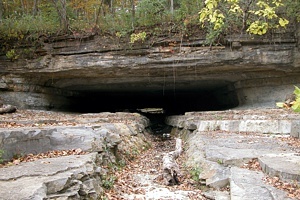 Tunnel is approximately 1 mile from the Muscatatuck park campground. Selmier State Forest was donated to the state of Indiana by Mrs. Frank Selmier on behalf of her husband. Frank Selmier had a strong interest in the outdoors. He planted several acres on this property of pine, black locust, black walnut, sycamore and tulip tree from 1921 to 1934. Most of the property was placed in Indiana's Classified Forest Program between 1927 and 1931. There are three known building sites on the property: A Boy Scout cabin; the Zoar school, which was converted to a church; and an old home site off Walnut Trail. Fishing, hunting, and hiking opportunities are available. 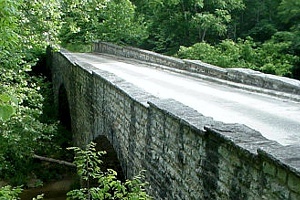 ►Vernon:	Town is listed in its entirety on the national register of historical places. ►Vernon Commons is the oldest playground/park in Indiana, first set aside in 1815. ►Jennings County Historical Society on the corner across from the courthouse is a pleasant visit. ►North Vernon is a small town, but you can find just about anything you may need. The Historical home tour and a newly refurbished down town are nice to visit. ►North Vernon Parks and Recreation has a nice city park and swimming pool. They are upgrading the pool in 2019. The City Pool is approximately two miles from Muscatatuck Park. The municipal department has also added the Tripton Park. Tripton Park will highlight 2.5 miles of paved trail accessible approximately 0.75 miles from the Muscatatuck Trail. Muscatatuck Trail is a 1.3 mile paved trail linking the Muscatatuck Park and the North Vernon City Min-Park and downtown North Vernon. The Bike path will soon connect also to the new Tripton Park linking an additional 2.5 miles of paved trail. Calli SNP is a very beautiful property with a nicely maintained two mile interpretive nature/hiking trail. Property borders Muscatatuck river and hosts two picturesque waterfalls. The meandering Muscatatuck River travels throughout most of the above properties, creating many bluffs, overlooks, and also caves. 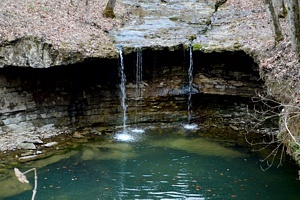 Jennings County is a natural paradise, please come visit!